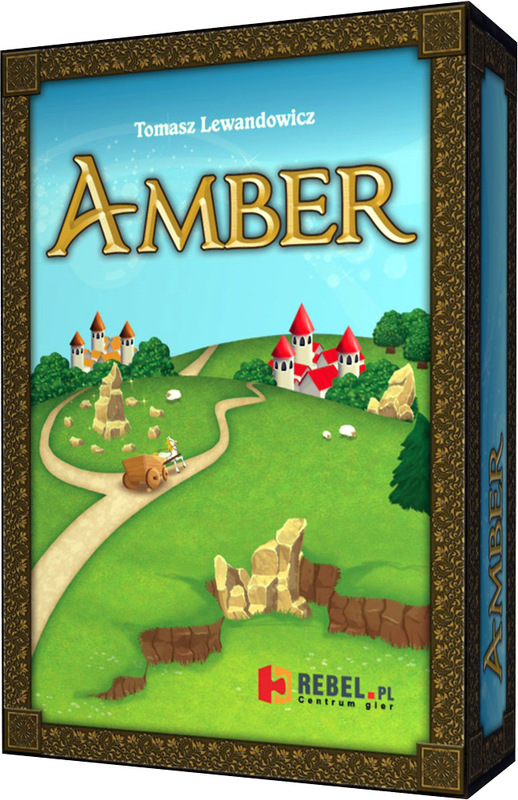 The kingdom has taken over a coastal region and given the land to new barons who quickly realized that the true wealth of this new region is amber, for which caravans come from the farthest corners of the world. 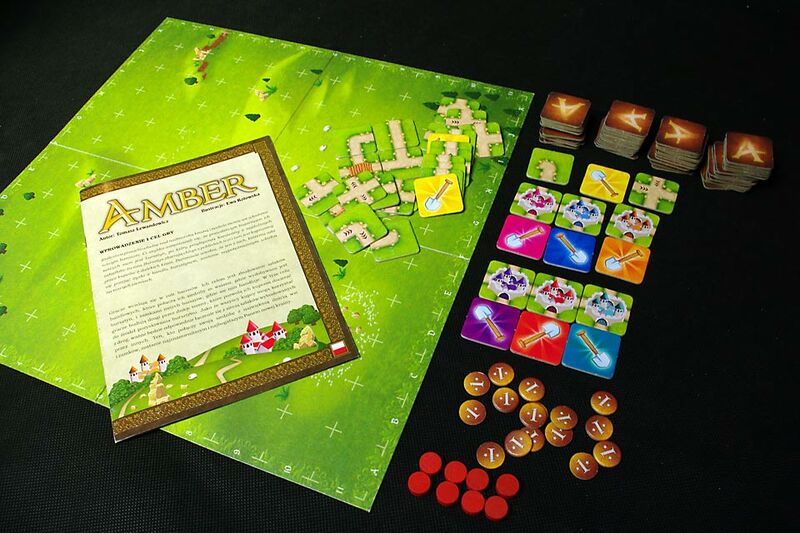 Peasants from nearby villages collect amber, which is bought by merchants from distant lands. 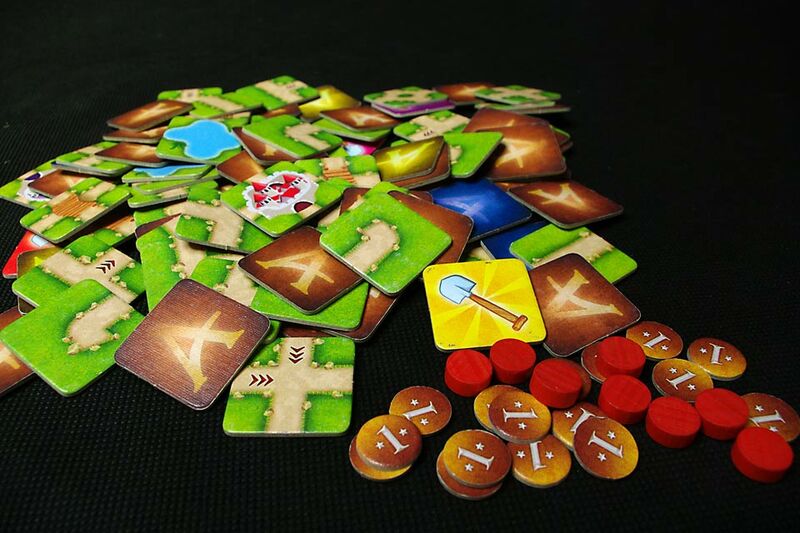 The barons know that the one who profits the most from the amber trade will become the most powerful ruler of the new lands. 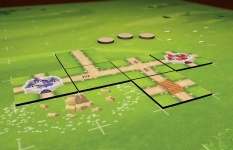 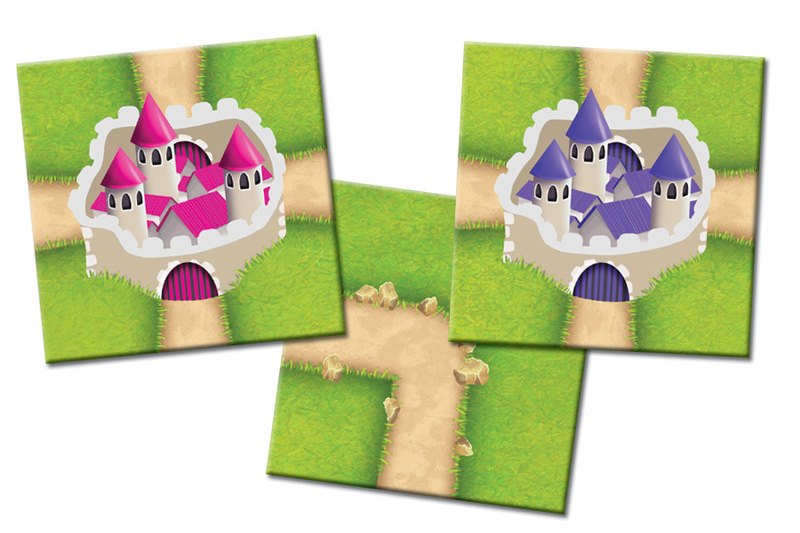 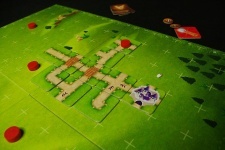 In Amber, players take the role of the barons, and their goal is to build trade routes which connect their castles to the villages where the amber is collected, and to the other barons' castles where it is traded. 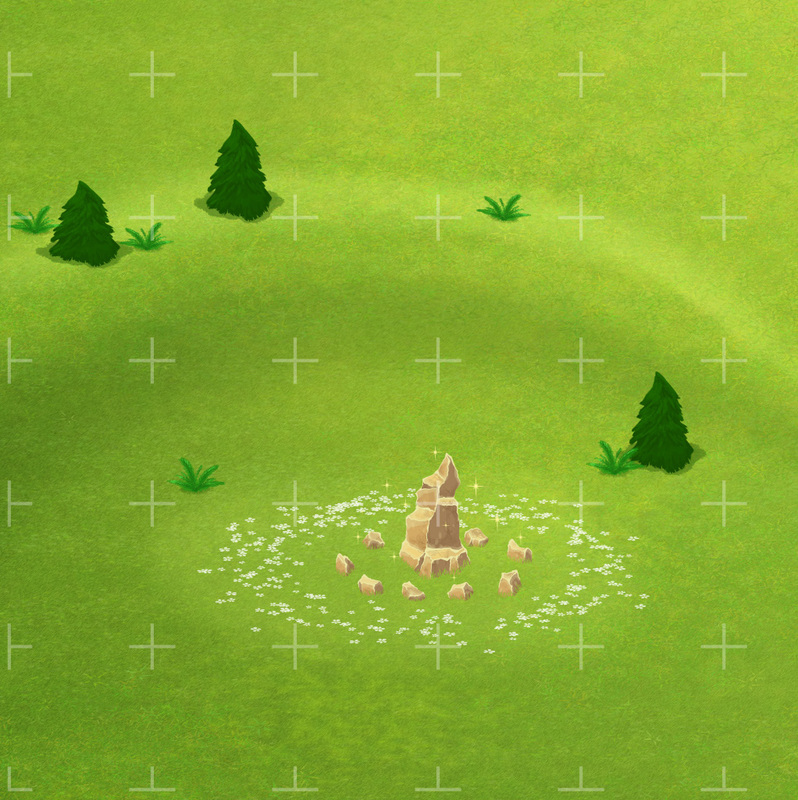 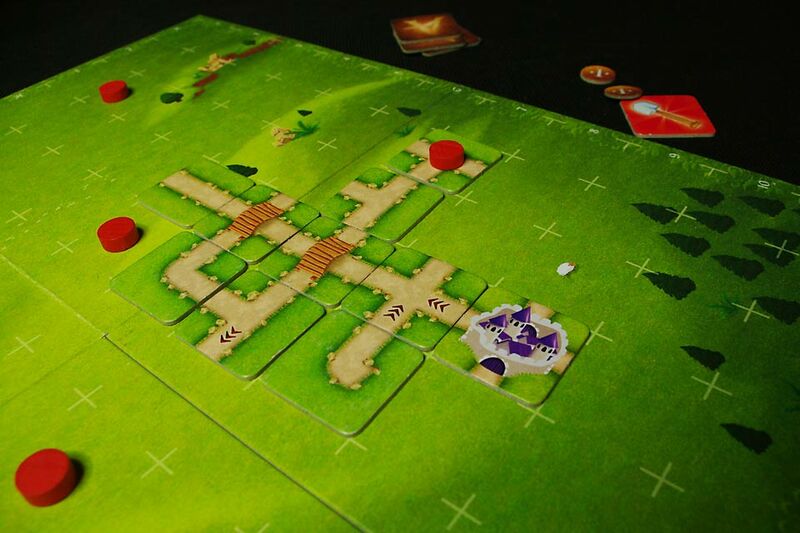 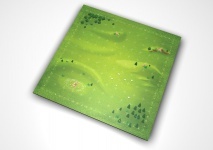 To this end, players build roads through the wilderness – placing one tile each turn in the shared playing area – which will allow their buyers to reach the sources of the amber. 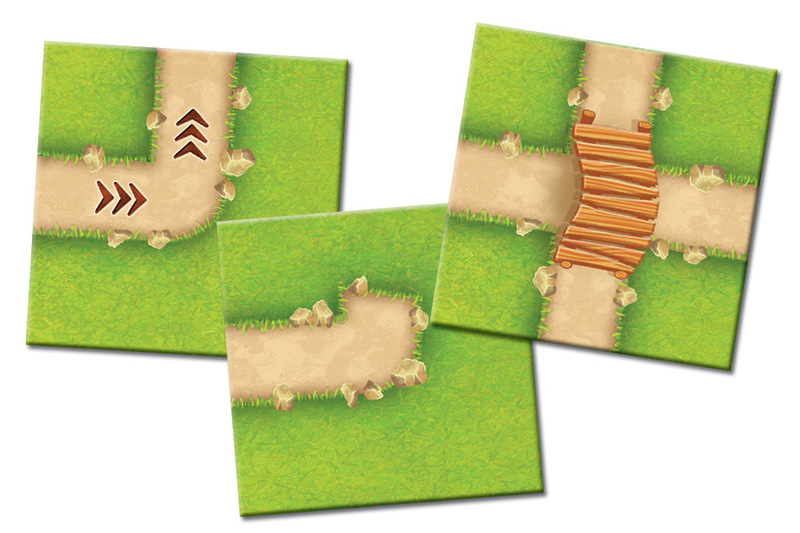 Since all buyers can use the roads, however, it's important to have suitable connections with the road networks built by others. 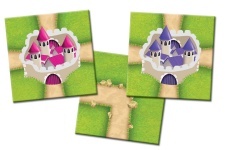 The baron whose castle is connected with the greatest number of villages and castles will become the richest and most respected Lord of the new land. 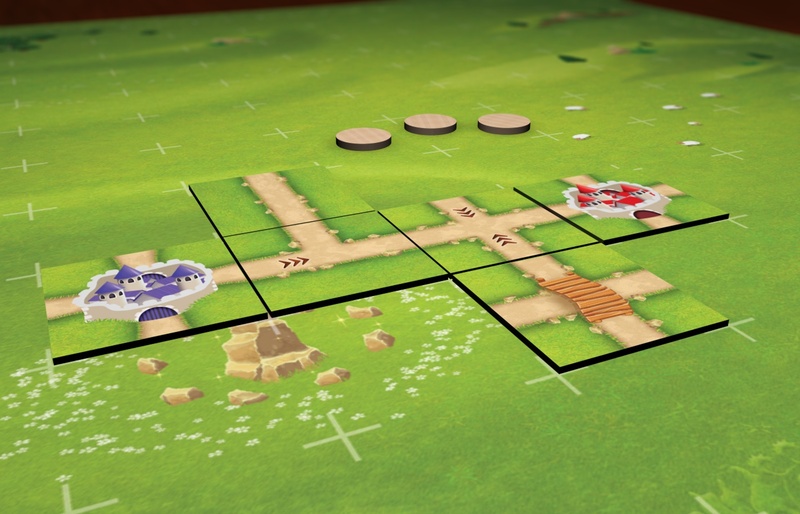 Update: There is a minor error in rules for the game. 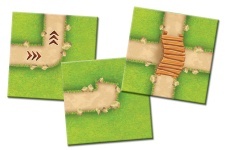 There are 74 tiles for building roads, not 82 as it is stated in the rules.